His sleight-of-hand is masterful, his presentations are inventive, and his performances are the epitome of class and sophistication. This DVD collection showcases his world-class magic in front of a live audience and features some of the most stunning magic ever filmed. As you watch it, you will experience for yourself why Michael's extraordinary presentations are regarded by audiences and fellow professionals alike as some of the very best in the world today. This popular effect has made rounds in the last few years. Michael shares his professional presentation. His handling and performance tips elevate The Multiple Selection routine to another level. His performance in the live show was a tour de force. Plus, bonus performances of: The Rhapsody in Silver, The Cups and Balls and The Knotted Silks. Michael has taken Dai Vernon's "Brainwave" effect and turned it on its head into masterpiece of construction and design. With this routine, you will come to appreciate "The Power of Assumptions" and "Audience Attention Control". Also featured is an underused principle in magic, creating an effect in the mind of the audiences before any technique has taken place. This principle alone is worth the price of this DVD presentation for it opens up untold possibilities. There is a world of difference between a card trick and card magic. This routine pushes the boundaries in terms of what is possible with a deck of cards. With credit to Bruno Hennig, Tommy Wonder and Roberto Giobbi, Michael has taken the classic "Signed Card in Box" and amplified the effect with an elegant presentation and technical mastery. He produces an experience equal to any theatrical presentation. We think this routine will become a huge favorite. Featuring: The Ace Production, "The Rising Aces", 21st Century Collectors, Cy Enfield's Aces for Connoisseurs, and The Henry Christ Fabulous Four Ace Routine. Plus, bonus performance only of: The Coins Across/Chinese Connection and a discussion on the inspirations for the routine, including learning references. Also, a bonus PDF teaching the Wild Card routine featuring Michael's breathtaking color change. Plus, bonus material: Michael's background and advice on mentoring. "Michael's magic is simply exquisite." "Your handling of the Brainwave effect is just about perfect, sleight of hand techniques have reached such a point that you will never need to perform the Brainwave effect with a gimmick deck ever again." "Michael is a soft-spoken individual but his performances amplify this facet of his personality to the extent that one is irresistibly led to conclude that here is a magical talent of noteworthy merit. Underlying this congenial demeanor is a savoir-faire that bespeaks sophistication beyond his years." "Michael Vincent has a performing style that is flawless. In the 30 years I've been performing Sleight of Hand, it is rare that I've seen someone who is able to combine flawless execution, steely assurance and a delightful presentational ability in the unique way that he has. Like Leipzig, he is deadly sure of his success. Like Vernon, he thinks constantly about magic and like Mike Skinner, everyone who watches him ends up liking him." "It is always a joy to watch you fluidly play with the pasteboards." "I've been a fan of Michael Vincent ever since I watched his International Magic lecture on video tape many years ago. So, when the three-disc DVD set, The Classic Magic of Michael Vincent, dropped on my doormat for review, I was eager to see what was in store. "Michael is well known for being one of England's finest professional magicians and the only person in history to be crowned The Magic Circle Close-up Magician of the Year three times. Watching these DVDs, it's easy to see why. "Disc one focuses on parlor magic. There are routines with Cards and Coins, a version of Slydini's Knotted Silks and there's also Michael's Cups and Balls routine. "The Intuition Speller is one of my favorites from this first disc - a simple spelling routine that is completely impromptu. Based upon a Harry Lorayne effect, this is one that you WILL use. "Disc two continues with a close-up session in the bar. This really is close-up magic at its best. Every routine on this disc is fantastic. "Brainwave My Way is worth the price of the DVD set alone. Other effects on this disc are Pandora's Paradox, Vincent Aces, Foursome, Match Made in Heaven, and Prologue to Triumph. You could easily make a living performing the material from this volume. "Disc three concentrates on the performance of magic and begins the Pathway to Excellence. Accompanied by Alakazam's Chris Harding, Michael discusses how to improve your own magic via mentoring and practice drills. "Also taught on this volume are Michael's methods for Controlling a Card, the Double Lift, the Palm, the Top Change, Forcing and False Shuffling. Also covered is the excellent One Hand Bottom deal which really does look like real magic. 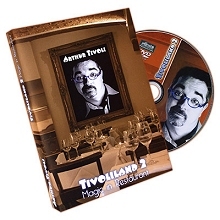 "This is a DVD set that should be in everyone's collection. I hope this is the first of many more new releases from one of England's finest professional magicians. "What's Hot: Excellent routines and advice from a real master. "Michael Vincent is one of today's most talented card experts. 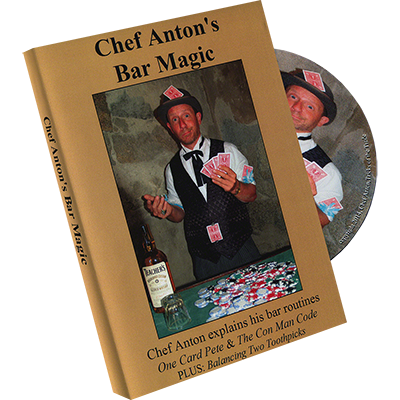 On his videos and DVDs, including the Tapestry of Deception series, he has explored everything from the Homing Card to Coins Through Table and the Cups and Balls, and explored topics such as misdirection. 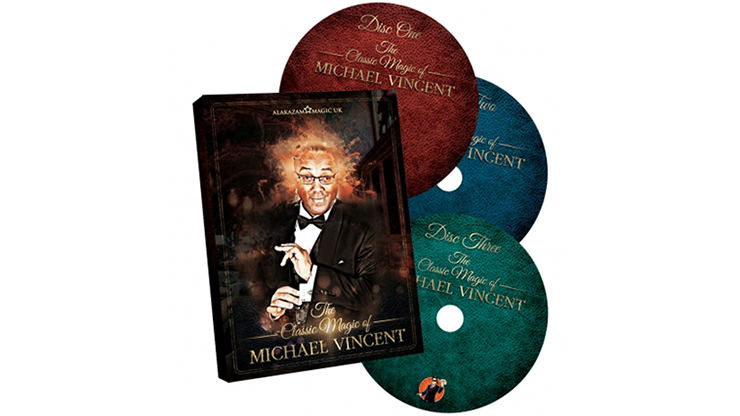 Many of these DVDs were filmed at The Magic Circle, often at lectures Michael gave and while the content was (and is) excellent, the production was limited by non-studio situations. "The present triple DVD set by Alakazam is first-rate all the way. With videography by Russ Stephens using two cameras, and luxurious packaging by Peter Nardi's Alakazam, Michael is shown in parlour and close-up settings performing and explaining twelve effects and about the same number of sleights. "The production opens with Michael performing (but not explaining) several introductory effects for a parlour (stand-up) audience, including the Cups and Balls, Three Fly and Slydini Silks. He then gets into the heart of the matter with 'Intuition Speller', in which cards are spelt to and located in a shuffled deck; 'Kismet', Michael's version of the Al Koran trick in which the magician locates a spectator's card and the spectator finds the magician's - but without the use of a marked deck; and some multiple card locations. I love 'Foursome', in which a peeked card is located along with its three mates. "The close-up tricks include Spectator Chooses the Aces, and Ace location, 'Aces for Connoisseurs', a version of Roy Walton's Collectors, a non-gaffed version of Brainwave, and Pandora's Paradox, in which a signed Joker transforms into a named card and the Joker is found in a wooden ring box. "Michael's explanations are in the company of Chris Harding, himself a very talented magician and Magic Circle Member. Chris provides stimulating questions and greatly helps in the proceedings. 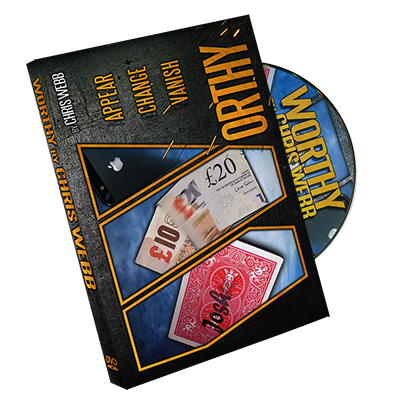 On the third DVD, Michael provides a step-by-step explanation of basic sleight of hand with cards, and promises that if you follow his method of learning, your card handling will improve. I agree. There is also an interview with Michael, tracing his magical background, and his handling of the classic, Triumph, with his Prologue to triumph, a great handling and well taught. "Much of what is on these DVDs is for the intermediate-level card magician. But card magicians of every level will find much to learn and a lightness of touch to observe and try to emulate from this master of the pasteboards."